In 2015, MATCOR and CP Masters, both well-established independent companies with over 70 years of combined history, joined forces under the ownership of Brand Energy & Infrastructure Services. Then in 2017 Brand Energy merged with Safway Services and launched the BrandSafway Asset Integrity Services Group, of which MATCOR is part of a growing team of more than 450 technical service professionals operating from 18 locations in the US, offering customers a powerful combination of expertise, services and proprietary products to solve the corrosion problems of energy and other infrastructure markets. These are the benefits customers enjoy in terms of value and the environment. With decades of experience, MATCOR safely and cost-effectively delivers direct turnkey cathodic protection and AC mitigation solutions. MATCOR supports customers with dedicated teams of strategically located and highly skilled professionals, along with one of the largest fleets of construction equipment in the industry. 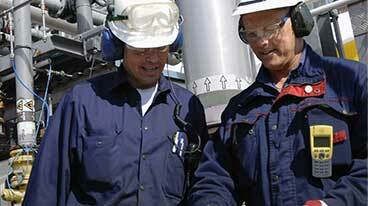 Our teams include top NACE-certified engineers, DOT operators and qualified technicians. Structural assets in the oil, gas, power, water and other infrastructure industries are subject to ongoing effects of corrosion due to natural causes and AC (alternating current) interference from electrical transmission lines. 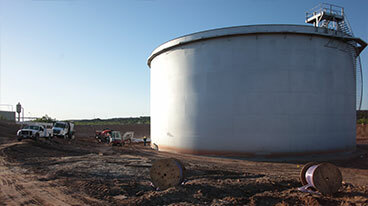 MATCOR utilizes proven techniques and proprietary products to prevent corrosion, maintain safe and reliable operation, extend asset life and prevent devastating failures. These corrosion prevention methods deliver outstanding ROI and include cathodic protection and AC mitigation. MATCOR provides a broad range of corrosion engineering, field service, project management and AC mitigation services, including turnkey, specialty and custom corrosion engineering services for industrial applications and pipeline integrity management. MATCOR products are manufactured in the USA and include an array of proprietary impressed current linear anodes, deep anodes and systems, probe anodes, marine and water anodes, AC mitigation materials and reference electrodes, in addition to related system components such as cathodic protection rectifiers, centralizers, splice kits, cables and junction boxes. 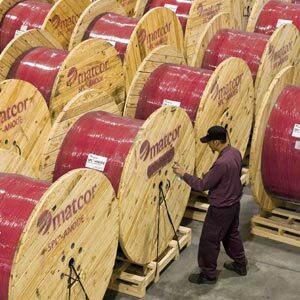 MATCOR is considered the technology leader in cathodic protection and corrosion engineering AND was named to the Inc. 5,000 list of fastest growing companies in 2011, 2012 and 2013. MATCOR’s headquarters and ISO 9001:2015 manufacturing facility are located in Chalfont, Pennsylvania. Strategically positioned worldwide, the company has sales and service locations in Oklahoma, Texas, Colorado, Louisiana, Georgia and Western Pennsylvania, in addition to a growing list of international distributors.